PO Security is opened by the SECURITY button on the Setup Blanket PO window. Users must be granted access to the Blanket PO functions. 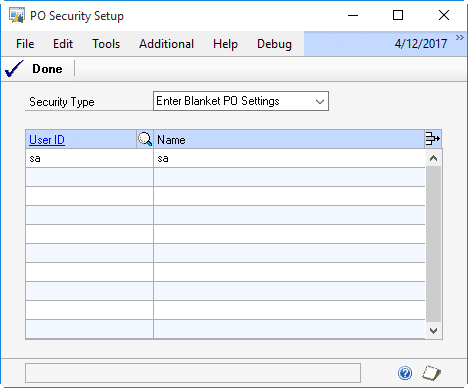 Enter Blanket PO Settings: users with this security can open the PO Control Settings window and set the Blanket PO control values. Enter Control Lines: users with this security can add, remove, and change Control Lines. Create Releases: users with this security can add Release Lines to the Blanket PO. 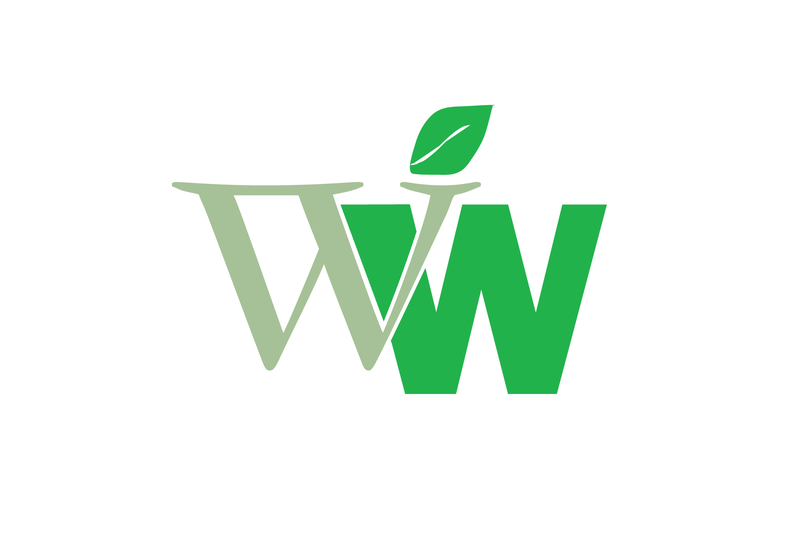 If “Automatically Create Firmed Releases” is enabled in Blanket PO Setup, a utility will run automatically during log-in for users with Create Releases security. If a user does not have ANY of the above security, they will not be able to view Blanket POs or work with them in any manner. A user must have at least one of the above three security options for the “Blanket PO On/Off” menu option to appear on the PO Entry window. Select a Security Type, then enter User IDs that should have that Security Type.